The author: Ritu Srivastava is the general manager of research and advocacy at the Digital Empowerment Foundation (DEF). She has more than 10 years of professional experience in Information and Communications Technology (ICT) development and programme management. Her current area research areas include ICT at the grassroots level, internet security, women’s empowerment, environmental issues, and community connectivity in India. This paper reflects views and opinions of community network providers who are trying to build their own low-cost and effective infrastructure for providing Internet connectivity. We would like to express our gratitude to all the stakeholders and members from community networks that provided their input. The report improved considerably thanks to the feedback from those who read its initial versions: Konstantinos Komaitis, Jane Coffin, Mike Jensen, and Michael J. Oghia. Special thanks to Ritu Srivastava for making this report possible. Furthermore, we would like to thank the Internet Society, which commissioned this research effort and provided generous support and guidance. The emergence of a global “information society” is driven by the continuing development of converging telecommunications, multimedia broadcasting, and information technologies linked together by the Internet. The flow of information facilitated by the Internet strengthens democratic processes, stimulates economic growth, and allows for cross-fertilisation of knowledge exchange and creativity in a way never seen before. However, not everyone is able to benefit from this revolution yet, and many remain excluded mainly as a result of limited coverage of affordable broadband access and services. Efforts to address this situation at a small-scale at a local level often face a number of challenges in obtaining the necessary permits and resources – in particular for licenses and access to backhaul capacity, masts, and radio spectrum. This document describes India-based Digital Empowerment Foundation’s (DEF) Wireless for Communities (W4C) network project strategy for improving the availability of affordable broadband as a case study in understanding the legal and regulatory challenges of spectrum allocation and management, licensing regulation, and bandwidth issues in India. The first section of this document maps out the common elements of these challenges among community network providers, while the next section addresses the policy, legal, licensing, regulation, and bandwidth issues in India. This document investigates the efcacy of creating wireless community networks (WCNs), rural Internet service providers (RISPs), or community-based Internet service providers (C-ISPs), and explores policies that could help in creating widespread information infrastructure for the country to better connect the subcontinent. Implementing/expanding universal service funds so that community networks can draw from them in order to build infrastructure, develop networks, and maintain and scale operations. Empowering individuals who are living in remote areas is only possible if Internet connectivity is not only available, but also affordable enough to allow access to the wide range of information available on the Internet (A4AI, 2017; Broadband Commission, 2017; ISOC, 2017a; ITU, 2017a, 2017b; McKinsey & Company, 2014), from market prices, weather information, new opportunities, and new skill sets, to discovering dances, food recipes, or how-to videos. Internet content covering the various economic, social, educational, and cultural aspects of human life, which is a democratic mechanism in and of itself, is growing every day, yet many communities are denied the current opportunities that the Internet provides due to non-availability of the Internet or limited access. Working over the last 15 years, DEF has established one of the largest groups of community wireless Internet connectivity networks in India. By providing digital literacy skills through training programmes, it has enabled connectivity in regions where traditional and mainstream Internet service providers (ISPs) either do not wish to expand, or simply do not consider as relevant markets. DEF has also pioneered the process of training local community members (many of whom have not completed a formal education), to maintain community infrastructure3. Wireless community networks (CNs), also called community-based Internet service providers (C-ISPs)4 are networks whose infrastructure is built, managed, operated, and administered by a community-driven organization or by a community itself by pooling their existing resources and working with partners to start-up and scale their activities. These networks provide affordable access to the Internet, while also strengthening the local economy (Belli, 2016; Navarro, 2016; CNT, 2006). There are now hundreds of community networks around the world spread across diverse countries located in a mix underserved and geographically challenging areas5. 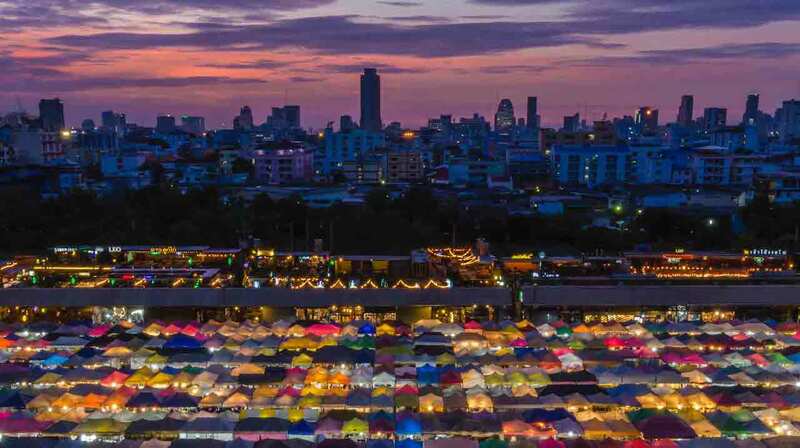 Among them, more than 100 community networks have adopted a bottom-up approach instead of adopting the classic, telecom operator-driven, top-down approach. Some of these networks are located in Latin America (Argentina, Brazil, Mexico), Sub-Saharan Africa (South Africa, Kenya, Ghana, Congo), Asia-Pacific (India, Nepal, Pakistan, Indonesia, Australia, Afghanistan), the United States, Canada, and Europe (Germany, Austria, Hungary, Spain, Greece, Sweden, Croatia). Even though many community networks share common characteristics, each may use a different technology, or work under different governance or regulatory models within different socio-economic and cultural conditions. Even the management and governance structure of each of the community networks have been found to be different and diverse. DEF’s Wireless for Communities (W4C) programme6 aims to provide affordable, ubiquitous, and democratically controlled Internet access in rural regions of India. Nevertheless, the programme has faced – and in some cases, still faces – regulatory, policy, licensing, and legal challenges which hamper the process of establishing wireless networks in rural parts of the country. This document uses DEF’s W4C programme as a means to understand the regulatory, policy, spectrum, and legal challenges in India and how they affect Indian community networks. The document identifies the common elements of policy, legal, and regulation challenges among community networks that may challenge operating in other countries around the world, and presents recommendations that aim to inform national, regional, or international policy and regulatory frameworks. This document is part of a series of policy briefing papers, a collaborative effort of DEF and the Internet Society (ISOC), that addresses technological, sustainability, organizational, and content-related challenges, among others, which require further discussion in relevant national, regional, and global policy fora. The primary objective of this document is to describe the legal issues surrounding spectrum allocation and management, licensing regulation, and bandwidth issues in India as they relate to community networks. The report outlines the technological and infrastructural challenges from a policy perspective in India, and identifies some of the common issues that may be faced by other community networks across the world. Finally, it also provides policy recommendations and suggestions to assist in deploying community networks in India. Overall, it can be said that CNs are an alternative and complimentary approach to the traditional commercial model where Internet connectivity is not sold to end users – instead, users effectively club together to establish connectivity between themselves, and then may use their collective bargaining power to purchase capacity to the rest of the Internet. Networks that are built this way are still just as much a part of the Internet, but present various “exceptional” features – low cost and transparency in particular. They are usually operated on a cost-recovery basis and provide public documentation on all technical and non-technical aspects. They are often based on collective digital participation – as crowdsourced networks, they may be structured to be open, free, and neutral8, relying on the active participation of local communities in the design, development, deployment, and management of the shared infrastructure as a common resource. Usually owned by the community and governed according to democratic principles, in terms of institutional models, community networks may be operationalized wholly or partly through local stakeholders and individuals, local nongovernmental organizations (NGOs), private sector entities, and/or public administrative or governmental bodies. CNs often rely on wireless mesh networking (WMN) technology9 comprised of nodes and Wi-Fi access points that relay data, and route other nodes’ traffic. The structure of these mesh networks permits the connection of numerous nodes that interlink members and connect them to the rest of the Internet. Data travels from one connected node to another in order to reach a node that is connected to the Internet, also known a “gateway node.” In this way, the community network connects the community, and also allows them to access the Internet for their specific purposes relevant to their local interests and needs10. In India, community networks are not specifically defined – the concept is still relatively unknown and as a result it is not in common parlance or in government information and communications technology (ICT) policy or regulation. The Telecom Regulatory Authority of India (TRAI) identified them as “public Wi-Fi’ networks” (TRAI, 2016). The consultation paper assigns a broader meaning and is not limited to the Wi-Fi hotspot created and/or licensed by telecommunications service providers (TSPs)/ISPs in public places. The consultation paper generally indicates that a commercial model is envisaged in which small entrepreneurs and even smaller private entities would sell Wi-Fi network services for public use. Compared to the level of need, there are relatively few examples of initiatives working to support or deploy wireless networks that focus specifically on communities that are excluded from access as a result of income levels, size, geography, or discrimination. DEF12, AirJaldi13, and Gram Marg14 are among the few community networks operating in India providing basic Internet connectivity and enabling access to information for people who are living in the most rural and remote regions of India, as well as those unable to afford traditional Internet services provided by the established telecom providers. AirJaldi began as a social non-profit enterprise in Dharamshala, Himachal Pradesh, India, providing affordable wireless broadband connectivity in remote areas. Two engineers from Israel who had frequently visited Dharamshala, Yahel Ben-David and Michael Ginguld, wished to contribute to the development of Tibetan refugees by providing Internet connectivity to the Tibetan refugee community and help to connect them with local support institutions. There was no other connectivity infrastructure available at the time, so they founded AirJaldi to provide affordable Internet access in cooperation with the Tibetan Technology Centre (TTC) in Dharamshala. Gradually, AirJaldi became a brand name, and lent its name to a newly established company called Rural Broadband Pvt. Ltd. Operating as a social enterprise on a commercial basis, AirJaldi is a national ISP (Class A), which presently owns and runs 10 networks in six Indian states with a total of about 60,000 users.15 There are more than 2,000 computers connected to the mesh network, of which roughly 500 have Internet access, while others connect via Wi-Fi hotspots and the remainder are connected locally to an intranet. Mumbai-based Gram Marg is in pilot/test phase. Created by the Rural Broadband Project of the Department of Electrical Engineering at the Indian Institute of Technology (IIT) in Bombay (Mumbai) in 2012, Gram Marg’s mission is to test a commercial franchise model for rural connectivity using TV white space (TVWS)16 to provide backhaul connectivity for Wi-Fi hotspots and kiosks. Currently, there is no formal regulatory framework for the use of TWVS in India; however, the Department of Telecom (DoT) of the Government of India granted an experimental license to IIT Bombay in 2015 to conduct tests using the TVWS bands in 13 villages in Maharashtra17. Along with the DEF project, these two alternative models also face various levels of policy and regulatory challenges, from spectrum management and regulation, spectrum availability, licensing processes, regulation of ISPs, and compliance-level issues that hamper the growth of Wi-Fi services or community networks in India, which is outlined in the next section. Advocate for social enterprises and NGOs to be rural Internet service providers, especially by opening new channels to decision-makers, regulators, government oficials, the private sector, civil society, and the technical community. Most of the W4C networks are located in tribal and underserved areas where people have not used a computer or smartphone before, and where communities are unaware of how the Internet can be a part of their lives and help to fulfil their needs. Similarly, the community is unaware of the legal and regulatory frameworks involved in setting up the network. For example, the Baran W4C network is one of the widest coverage networks in the project, spread across 200 kilometres. Baran is a unique district in the Indian state of Rajasthan where time appears to stand still. Spread across a 7,000-square-kilometer (km2) area, Baran has just 82 km2 that is designated as urban. Baran is a “backward district”19 in Rajasthan, which is largely populated by tribal communities. Out of the population of 1 million, more than 40% are scheduled castes and scheduled tribes.20 About 60% of women are illiterate, while 85% of the residents live in rural areas. The Baran network serves Rajasthan’s two tribal communities, Bheel and Sahariya. The Sahariyas and Bheels are the majority among the tribes of Baran, who are mostly nomadic, homeless, and bonded labourers. They make a living on a day-to-day basis. Most people outside the area are not even aware of the Sahariyas’ existence, as they live in a media-dark location21. When DEF started working with Bheel and Sahriya tribes in Baran in 2007 and established a Community Information Resource Centre (CIRC) to facilitate health and educational information services, among others. CIRCs are digitally enabled resource centres that is established at village level to offer information and knowledge services in addition to digital, financial, and functional literacy to village folks. CIRCs are often used for services such as photocopies, printing, digital photography, lamination, etc., for which villagers would otherwise travel miles, often at the cost of the loss of their daily wages. Connectivity is vital for these centres to remain operational, and in the case of Baran, its W4C network provides connectivity for about 10 CIRCs. DEF started its Baran network with the help of Sankalp, a community-based, non-profit organization that has been working in Baran, in the areas of Bhanwargarh and Mamoni, two major locations that could be identified as Village Councils. DEF provided 10 computers to begin the network, although there was no nearby tower in Bhawargarh. Five centres were created in different locations with two computers each that showed high demand, but there was no connectivity to connect these five centres. The only connectivity that was available at the time was via a mobile phone close to the signal tower. 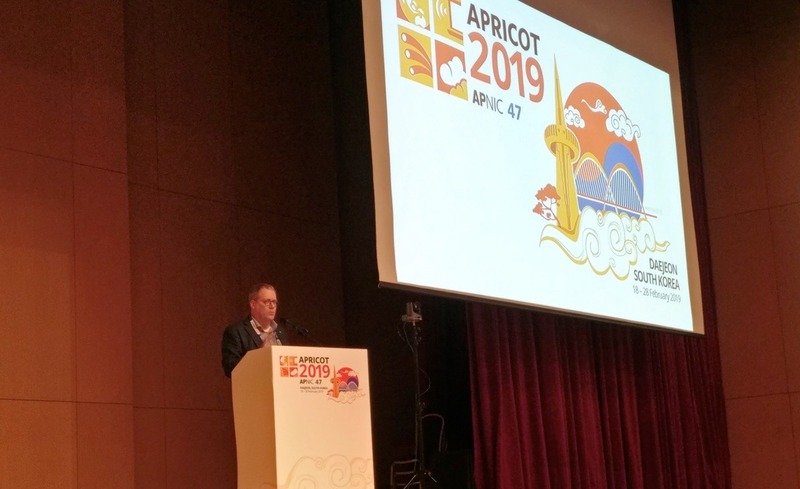 Now, thanks to the W4C initiative, even if there is a disruption to the backhaul link22 providing Internet connectivity, communities living in two different villages can still communicate using the intranet infrastructure that exists in the network. In this way, they are connected to both the Internet and to the local intranet infrastructure. Within the interior of Baran, there are a few wireless local loop (WLL) towers erected by the state-owned telecommunications company Bharat Sanchar Nigam Limited (BSNL), and a few of those that are erected are not operational. None of the ISPs or telecom operators were interested in providing connectivity, perhaps because of low volumes and the high cost of infrastructure.23 So, community members living in Bhawargarh used scrap material to build a 40-foot-high (12.2 meter) tower. Now that the tower is built and operational, it is providing connectivity to seven centres. In most cases, however, community members were not aware of the regulatory challenges that exist. For instance, they were not familiar with the legal and regulatory conditions that govern telecommunications towers, and as a result, they did not realize they had actually committed an illegal activity while constructing the tower. Attaining sufficient height for the tower can be a difficulty for community network providers. For instance, if the height of the tower from the rooftop is 5 meters from any building or 30 meters from the ground it requires clearance from the Standing Advisory Committee on Radio Frequency Allocation (SACFA), which is part of the Department of Telecommunications (DoT) under the Ministry of Communications of India. A community network provider without an ISP license needs to use the tallest structure such as a water tank or naturally high locations such as a hill or bamboo trees to set up the tower. These problems were apparent when establishing the network in Nichlagarh block, Rajasthan, located in the foothills of Mount Abu. It consists of many hamlets and is part of the Abu Road Tehsil (administrative division) of the Sirohi district. Nichlagarh is a tribal community without any functional telecommunications service, and the nearest backhaul connectivity was available 40 kilometres away. Being surrounded by mountains, it was not easy to bring backhaul connectivity from that distance, and setting up a sufciently high tower was not an affordable option either. As a result it was necessary to place a router on a nearby mountain to bring backhaul connectivity from Abu Road to the Nichlagarh CIRC. From there the connectivity is provided to other institutions such as the local police station, school, shops, and public distribution outlets. In addition, youth seeking to benefit from the CIRC’s connectivity, come to the centre every day to request access the Wi-Fi network. A similar issue was faced while setting up the wireless network in the Nalbari District of the northeastern Indian state of Assam. The town of Nalbari has a high density of trees and other green vegetation, which limits visibility between sites. Thus, the setup and maintenance costs of the needed infrastructure are high, and to bring the bandwidth to such locations is also more difcult and expensive. To service the Nalbari District, DEF established one main W4C centre in Nalbari Town with access to a 10 megabits per second (Mbps) Internet link. To provide the connectivity for the surrounding region, the team used bamboo poles as masts for the wireless routers in eight locations, which provide Internet connectivity in 28 state government schools. In an experimental project conducted by DEF under the W4C programme, a line-of-sight connection was established from a moving vehicle with specialised and customised antenna. Called ZeroConnect, the vehicle is deployed in the large salt desert known as Little Rann of Kutch (LRK) in the western Indian state of Gujarat. The salt desert in the LRK is usually only functional from September to March, and in those months the Agariyas, the community that traditionally farm salt in the area, move into the salt desert where they live in makeshift houses and their children go to makeshift schools in the desert. The ZeroConnect project was designed to identify the locations in the desert where children gather to experience school learning. ZeroConnect mapped 17 locations where temporary line-of-sight links to a telecommunications tower located in a local police station could be created. After obtaining permission from the police station to share the tower infrastructure, the ZeroConnect vehicle established links to the 17 locations each day. With a fixed schedule, the special vehicle routinely travels to each location where the team adjusts the on-board antenna to link to the police station. Once the vehicle is connected to the Internet, connectivity is provided with the Wi-Fi hotspot, which connects 20 tablets – enabling the Agariya youth to access the Internet and the unlimited source of learning content and games for entertainment. ZeroConnect also been using the connectivity to conduct a census of the deprived and uncounted population of the Agariyas, and locating them on online maps in order to demonstrate their existence to the government in order to help them obtain their entitlements. The whole area of LRK is called Survey Number Zero because they have never been surveyed by the government of India. Overall, it can be noted that DEF has been using alternative approaches for providing connectivity, which avoids setting up towers where possible. In this way, DEF limits the need to comply with regulatory procedures and the extensive paperwork required for building towers. In addition to the deployment of community networks in remote regions of the country, DEF advocates for rural ISPs to help democratize Internet access more uniformly. The W4C programme has proven that the use of unlicensed spectrum is an effective method of creating community networks and providing last mile connectivity (ISOC, 2017b); however, it is necessary to address the restrictions related to policy and regulatory challenges, which hamper the growth of community networks. The next section of the paper identifies the regulatory frameworks regarding access to spectrum, bandwidth, and technical regulatory challenges in India. 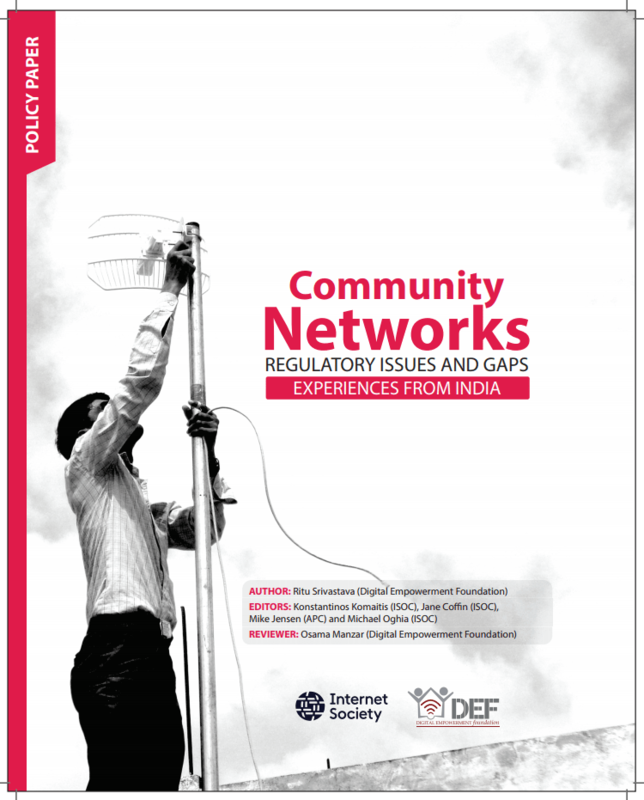 According to the community networkers around the world that were interviewed for this report, most countries lack clarity or specific policies and regulation for community networks, which often creates additional challenges. It was also noted that much of the information related to CN policy and regulation is not easily accessible or the awareness of such policies is limited within regulatory bodies or the appropriate authorities. Most governments have some kind of spectrum management authority in place, but there is no specific spectrum allocated for community networks. On a positive note, many countries have allocated some spectrum for unlicensed use, although unlicensed spectrum bands can be either general purpose or application specific (ISOC, 2017b).26 Nevertheless, most of these community network providers are using unlicensed spectrum to provide connectivity in rural and remote regions; however, they lack specific regulations or operational guidelines set by the government and/ or related authorities. This also means that CNs have generally not been able to access support from universal service and access funds (USF), which harms digital inclusion (A4AI, 2015; ITU, 2013). Unlicensed spectrum simply refers to a spectrum band that has pre-defined rules for both the hardware and deployment methods of the radio in such a manner that interference is mitigated by the technical rules defined for the bands rather than it being restricted for use by only one entity through a spectrum licensing framework (ISOC, 2017b). The continuously evolving nature of wireless communication technologies has created a need to devise methods in which radio spectrum can be managed more effectively and efciently. Modern technologies such as orthogonal frequency-division multiple access (OFDMA), spread spectrum, frequency hopping, Beam Division Multiple Access (BDMA), fixed-mobile convergence (FMC), ultra-wide band (UWB), and the potential for software-defined radio (SDR) further facilitate spectrum sharing, enabling wireless users to coexist with each other, at speeds that continue to increase day-by-day (Idachaba, 2017; Clarke, 2014; Milgrom, Levin, & Eilat, 2011), By not requiring operators to obtain a costly license and special permission for its use, unlicensed spectrum27 is an inexpensive and barrier-free option for meeting communications requirements, which is especially relevant for India (Gupta, Abraham, & Gyulkhandanyan, 2012). The unlicensed 2.4 GHz bands have lately become very noisy and crowded in urban areas due to the high penetration of wireless local area networks (WLANs) and other devices that are communicating in the same frequency range, such as microwave ovens, cordless phones, and Bluetooth devices. The 5 GHz unlicensed bands provide the advantage of less interference and higher bandwidths, but links are usually shorter due to the higher adsorption rate of these frequencies resulting in greater signal loss. The Radiocommunication Sector within the ITU is the forum in which nation-states agree to harmonize the use of radio frequency (RF) spectrum at the international level. According to ITU (2007, 5.4), both vision and commitment are required when implementing policies for use of unlicensed spectrum to ensure the most optimal sharing of the resource. So far, spectrum policy development has not taken into account the innovation and flexibility needed to allow communities to also participate or engage in the process, particularly around unlicensed spectrum and spectrum sharing. International trends indicate, however, that unlicensed spectrum is increasingly being seen as a viable approach to spectrum management, although still for a relatively limited number of bands. Still, this is a positive development since there are myriad economic and financial aspects of spectrum allocation (ITU, 2016a, 2012), many of which have a direct and significant impact on community networks. A large number of countries now also are engaged in piloting the use of cognitive radios with dynamic spectrum assignment and the associated use of TV white space (TVWS) technologies (Oh, Ma, Peh, & Tao, 2016; Pietrosemoli & Zennaro, 2013)32. Some countries, such as Singapore and Ghana, have progressed to develop regulatory frameworks for use of TVWS and dynamic spectrum sharing but no specific provisions have been made for community networks (Oh, Ma, Peh, & Tao, 2016). Moreover, in some cases where national digital television broadcasting platforms are being established, the policy and regulatory environments are still in flux (e.g., ITU, 2016b; OECD, 2013). The next section examines the policy environment for CNs in India and how spectrum is being managed and allocated by the Indian government and its related bodies. In 2012, the National Telecom Policy (NTP)34 was published, which aimed to “provide secure, reliable, affordable, and high-quality converged telecommunication services anytime, anywhere for accelerated, inclusive socio-economic development”. The vision of the policy is to transform India into an empowered and inclusive knowledge-based society through telecommunications as the catalyst.35 The NTP underlined the need for reliable and secure telecommunications services in rural and remote areas, and mandated affordable high-quality broadband and telecom services throughout the nation to address the digital divide. Although the policy also worked toward establishing the “right to broadband”, unfortunately the policy did not recognize community networks as a resource to provide last mile connectivity.36 The NTP also did not identify community networks or public Wi-Fi services for the growth of rural Internet penetration in India. Increase the affordability of telecommunications services. So far, however, the USO fund has not been utilized fully. According to DoT data, India has used just 30% of the USOF it has collected since the fund was established in 2002-03.38 By comparison, Colombia used 84% of its USOF in 2011 (GSMA, 2013).39 The DoT usually provides USOF funds to BSNL to improve connectivity in rural areas; however, the services provided are not competitive, while private operators are not willing to go rural areas because it is not commercially viable (Jain & Raghuram, 2009). More recently, in 2011, the National Fibre Optic Network (NOFN)40 was initiated by the government to connect 250,000 gram panchayats through optic fi-bre to provide high-speed data connectivity.41 The government used the USOF to finance the NOFN with an expenditure of INR 20,000 crore (200,000 million – approximately US$4 billion). The expected date of the NOFN’s completion was 31 December 2013, but it has been extended a number of times and is still not complete. Once the NOFN is completed, private operators will still need to set up the access network and lease bandwidth from BSNL, which is not seen as a particularly attractive commercial proposition for private operators, given the high upstream bandwidth costs. Moreover, the current strategy for the NOFN does not allow non-profit organisations or other small entities to connect with the NOFN for provision further connectivity from panchayat level to village level to household level (Manzar, Srivastava, & Kumar, 2015). In 2016, TRAI published a recommendation paper titled “Encouraging Data usage in Rural Areas through Provisioning of Free Data42” in which the authority recommended creating a public subsidy programme to enable ISPs to provide free Internet access to rural consumers in line with the existing national frameworks. Yet again, however, the recommendation paper does not provide support for community networking, or rural-level ISPs, to utilize the fund to provide rural connectivity. Thus, it is safe to conclude that awareness of the potential for community networks to address the stated goals of national policy is largely absent from the Government of India at this time. Spectrum management and regulation is the collective responsibility of more than one agency in India. There are different bodies handling spectrum licensing, regulation, pricing, and the levy of penalties, while some bodies have only an advisory role (APC, 2012). The key decision-makers on spectrum allocation and assignment include the TRAI, the Wireless Planning and Coordination Wing (WPC) (also informally known as the Wireless Planning Commission), the DoT, the Ministry of Electronics and Information Technology, and ad hoc groups such as the Empowered Group of Ministers (EGoM) for third-generation wireless mobile telecommunications (3G) and Broadband Wireless Access (BWA) spectrum auctions. The WPC is responsible for managing the “policy of spectrum management, wireless licensing, frequency assignments, and international coordination for spectrum management and administration of the Indian Telegraph Act.”49 The WPC has different sections, such as Licensing and Regulation (L&R), New Technology Group (NTG), and SACFA.50 The DoT takes a minimum of three months to process a letter of intent (LoI) for a new spectrum license. With so many different yet interlocking authorities it is evident that processes for obtaining authorization are not transparent or easy to understand, and are complicated for any new organization, institution, and individual to negotiate, let alone a remote rural community unfamiliar with this system and its related processes. The government had de-licensed the present bands for reasons that their de-li-censing would provide a benefit to society, and the regulation of the bands through license issuance for such low-power usage by the common public would have been impractical normally. Hence, to make the decision to de-li-cense more bands, the spectrum regulator looks at the social benefit/impact that it would make, and whether they can shift current licensed users to other frequencies if interference concerns are present. Frequencies in the 5.15-5.35 GHz bands as well as the 5.725-5.775 GHz bands are unlicensed for indoor-use only. An objective outlined in section 4.6 of the National Telecom Policy 2012 afrmed that the government will “identify additional frequency bands periodically [in order to] exempt them from licensing requirements for the operation of low power devices for public use” (Gupta, Abraham, & Gyulkhandanyan, 2012). Presently, however, the government controls a large part of the RF spectrum, with only a minimal amount of frequencies being allocated for unlicensed use. Moreover, there are no light-license frequency bands available in India either. Considering that policy-makers in India and worldwide are beginning to recognize the importance of allocating more unlicensed spectrum and this may be an opportunity to make the case for specific measures for community networks. Aside from the complexity of spectrum regulation detailed above, any institution or individual applying for an ISP license, is required to engage with all the regulatory bodies listed. The large number of institutions that are involved in the licensing process leads to an increase in waiting time, unnecessary bureaucratic hurdles, and associated costs (EY, 2015). In addition, if any NGO, small organization, or individual wants to provide last mile Internet connectivity, they either have to become a franchisee of an existing ISP and bill via the ISP, or share their private Internet connection at their own risk due to the grey areas of the licensing requirements here. In the case of the franchisee model, the entity also needs to store user logs for which they need a local data server, which adds to the technical burden, which exceeds the management capability of many small entities (Gupta, Abraham, & Gyulkhandanyan, 2012). According to DoT guidelines, the height of any telecommunications tower should be 5 meters from the roof of an approved building or 30 meters from the ground. If the height of the tower exceeds that, then ISPs require SACFA clearance.57 If the aerial distance between the tower and an airport is within 7 kilometres, then ISPs also need the approval from the Airports Authority of India (AAI) – and there are other requirements in case of defence lands and borderlands, however, most airports are in metro areas. As ISPs are the only entities that are eligible to apply for SACFA clearance, entities acting as franchisees with ISPs, which need to establish towers of more than 5 meters above the roof of a certified structure/building, cannot apply for SACFA clearance. This adds to the challenges for small organizations to provide last mile connectivity, creating regulatory grey areas, which could even lead to prosecution under the current law. Ambiguity also exists regarding the legal requirements and policy governance of community networks in India. Prior to the infamous Mumbai terror attacks of 2008,58 the use of Wi-Fi services in India was largely unregulated. Today, there are significant regulatory issues and licensing restrictions that hamper the growth of public Wi-Fi services and community networks in the country (Abraham, Ram, Marda, & Melarkode, 2016). After investigations into the attacks revealed that the perpetrators had made use of multiple unsecured Wi-Fi networks to coordinate their attacks,59 the DoT issued a set of instructions60 in 2009 to all ISPs operating under a Unified Access Service License (UASL), Cellular Mobile Telephone Service License (CMTSL), or Basic Service License (BSL), directing them to adhere to certain procedural mandates designed to bring greater security and accountability to the use of Wi-Fi networks within India.61 Under the current regulatory framework, public Wi-Fi is subject to licensing requirements, data retention, and “know your customer” (KYC) policies (Abraham, Ram, Marda, & Melarkode, 2016). Among the DoT mandates is the identity verification of Wi-Fi users either by retaining copies of their photo identification documents or by delivering login details via Short Message Service (SMS), thus retaining their phone numbers as a means of identity verification. It is important to note that these instructions issued by the DoT apply to licensed ISPs along with their franchisees, which means the ISPs are also bound by the numerous general, operational, financial, and security conditions contained therein, including but not limited to maintaining detailed registers identifying their customers, and maintaining logs of all data packets transmitted to and from customer-premise equipment. The most frictionless model is the unauthenticated model that allows anonymous access, followed by a light KYC regime. The model with the most friction is that with intensive KYC requirements. The existing customer login procedure requirements that have been laid down by the DoT that [necessitates] a user to provide a photo ID or to [receive] a one-time password (OTP) through SMS are difcult to comply with for two reasons. First, it does not allow for a user to access the public Wi-Fi network without authentication, which leads to a loss of anonymity over that network when the user accesses any Internet-based service. Second, it assumes that all people will have access to mobile phones/smart-phones. So far as the Indian situation is concerned, this is certainly not the case in many households where only the head of the family, who is more often than not a male member, has access to such devices. Many individuals also use much simpler devices that may not be able to receive One-Time Passwords (for exam-ple, Raspberry Pi devices). Such a requirement would, in effect, deprive a large number of individuals from accessing public Wi-Fi services and would defeat the purpose of even establishing such networks. It can also be noted that even in countries with apparently much more challenging national security concerns, the data retention and KYC policies are not so strict. Another pressing issue hampering the growth of public Wi-Fi services in the country is overregulation in other related areas. The limitations regarding the interconnection of the PSTN with Voice over IP (VoIP) networks for small providers is one area in particular that limits the viability of local community initiatives. There are various other stringent security and regulatory systems surrounding the entire Internet connectivity ecosystem in India. These systems are especially restrictive in certain states and may hamper the growth of Wi-Fi in those states that appear unaware that provision of online public services can aid in the growth and development of these states. The accepted service level target is Triple-A compliance, however, the technical and logistical issues can make this difcult.62 Maintenance of Triple-A compliance requires technical support and access to data centres, which are expensive and often difcult to access from rural areas or small towns. This is an additional technical hurdle for small ISP providers who may struggle to maintain the data centre or to receive technical support. As described above, the unlicensed 2.4 GHz band has become relatively “busy” (congested) in urban areas. While the 5 GHz band gives the advantage of lower interference, it faces distance challenges due to its technical characteristics. Access to other unlicensed and shared bands in the lower frequencies would help to address this problem. In DEF’s experience in particular, transmitting Internet connectivity from the ISPs base transceiver station (BTS) to the W4C hub staton is another challenge. In urban areas, even if the required bandwidth is available at the BTS, an ISP will not provide power (5-10 watts) for wireless equipment, or share the tower for client devices. The ISP will simply provide Ethernet out (a 10-30 meter Ethernet wire) and not provide any support for the further laying of cable and infrastructure. Maintaining a wireless Internet tower during the monsoon (rainy) season is high-risk due to severe thunderstorms, and this problem will likely grow with the increasingly worsening affects of global climate change. It is also difcult to protect wireless equipment, so the community networks supported by DEF have to maintain extra equipment along with a system backup file to restore a damaged network. This increases the burden on small ISPs, as they need to maintain extra equipment with system backup files to restore the network if needed. Even if a small organization provides Wi-Fi connectivity in rural areas, the purchase of a leased line from any ISP is a time-consuming process. This requires three-level coordination with all stakeholders who are providing the backhaul bandwidth, and it can take about three-to-four months or longer. 1. Encourage rural/village level ISPs – Rural/village-level ISPs should be encouraged and promoted by the government as well as major ISP stakeholders. Any NGO, small organisation, or individual should be encouraged to become a rural/village ISP and be allowed to further distribute Internet connectivity. 3. Exemption from service taxes – According to DoT guidelines,65 ISPs need to pay a 15 per cent service tax and 8 per cent of their adjusted gross revenue (AGR). Therefore, every ISP pays 23 per cent tax in total. “Class C and Sub-Class C or Rural/ Village” ISPs should be exempted from the 8 per cent of AGR levy to promote last mile connectivity. We suggest the following sub-categories to consider rural/village ISPs under Class C.
5. Tower regulation changes – There is a need to increase the allowance for tower height to be increased to 36 meters from the ground. It is also recommended that for towers falling within the circumference of Class-C towns, very large villages (VLVs), medium-large villages (MLVs), and small villages and below (SVs) as per the Indian Census guidelines,69 the ISP should be allowed to gain approval from the respective municipality(ies), and the tower infrastructure should be vetted and authorized by local architect(s) and engineer(s). 6. Support development of intranets and links between CNs – Decentralized community networking allows for network managers to provide locally created and locally relevant content on the relatively high-speed intranet. Even in the event of the failure of backhaul connectivity, it would allow people access to such content due to the local storage and sharing of data. 7. Increased support for video services – Support operationalizing of video conferencing and voice over Internet Protocol (VoIP) services over the intranet to allow communication within the network between citizens, and similarly connected public and private institutions, such as schools, primary health centres, government ofces, and others. 8. Empowering local communities in collaboration with government – Establish an underserved communications commission that entities like DEF, Gram Marg, Air Jaldi, and others could sit on to advise the government. 9. Universal service funds for community networks – The USOF should also be available for community networks or alternative connectivity models that are providing the connectivity in rural and remote parts of India. Utilizing frequencies in the 6, 11, 18, 23, 24, 60, 70, and 80 GHz bands to facilitate replicating examples like Webpass (United States), which has radios capable of delivering up to 2 gigabits per second (Gbps), both upstream (upload) and downstream (download).71 Reducing the barriers to access to spectrum in the 10-20GHz range is especially important (11 GHz and 18GHz in particular) to allow for new equipment from Mimosa,72 Cambium,73 Ubiquiti,74 etc. to offer more comprehensive and inexpensive backhaul options. Currently the 5.15-5.35 GHz bands as well as the 5.725-5.775 GHz bands are unlicensed for indoor-use only. Where interference with radar systems is not an issue, these bands should be unlicensed for outdoor use as well in order to facilitate the creation of wider wireless communication networks and the use of innovative technologies. Unused spectrum bands in the 2.4Ghz range should be de-licensed, beyond what is already unlicensed, for the expansion of wireless communication networks. The 1800-1890 MHz band, which is earmarked for the operations of low-power cordless communication in India, should be unlicensed in line with international practices. Many bands for this use have already been unlicensed in Europe and the United States.75. 50 MHz in the 700-900 MHz band, earmarked for broadcast, should be made available to better utilize available spectrum. Almost 100 MHz is currently unused in most parts of the country and this could easily be made available on spectrum-sharing basis. 1. Minimal and proportionate regulation – In terms of regulatory measures, there should be minimal and proportionate regulation – i.e., the regulation of entities involved in the provision of public Wi-Fi networks based on their capacity to harm the public interest and/or individual rights. By this we mean that only public Wi-Fi networks that have a large number of users should be subject to any regulation. The actual number for the ceiling would need to be determined through a needs analysis. Small-scale/public Wi-Fi/community-based network providers, such as public Wi-Fi networks in small villages or apartment complexes, should be left to self-regulation. Regulatory burdens, which serve no purpose, only deter these providers from providing such services at all. 2. Technology-neutral regulation – Regulation must be technology neutral, and should focus on the entities using these technologies. This neutrality should be reflected in the name of the policy – i.e., “community networking policy,” and not “community Wi-Fi policy.” The current definition of Wi-Fi is closely coupled with certain frequencies, and public wireless networks should be promoted regardless of technology and specific frequency bands. 3. Promotion of community networks – Stakeholders should promote, disseminate, and support the community network model through their existing channels, networks, and governance processes, especially to help create a more conducive regulatory environment by recognizing the role of CNs and making more unlicensed spectrum available to them – particularly in those bands that are allocated nationally, but not used in rural areas, such as TV, GSM, etc. This includes implementing measures to reduce the backhaul costs such as more open access fibre national networks, and reducing the fees and taxes to import and use telecommunications equipment. 4. Make funds available – Universal service funds and other funding mechanisms should be made available for the deployment, operation, maintenance, and scaling of community networks. New funding schemes should also be encouraged to avoid delay and to minimize regulatory hurdles associated with many current USF parameters. 5. Provide training to community networks – Governments, NGOs, and related organizations, such as development organizations or Internet-related organizations, should provide more support for training and capacity building among community networks, especially since many of the community network professionals interviewed stressed that while they do provide technical and operational training, they lack business and managerial training. 6. Encourage better dialogue between government and community networks – Governments should focus on greater engagement with community networks and initiate dialogue processes and relationship building, especially since CNs want to add value to communities, and many governments are under pressure to expand Internet access and deliver services. Abraham, S., Ram, S. C., Marda, V., & Melarkode, T. (2016). CIS submission to TRAI consultation on proliferation of broadband through public Wi­Fi networks. Centre for Internet & Society. Retrieved from: https://cis-india.org/telecom/blog/cis-submission-to-trai-consultation-on-proliferation-of-broadband-through-public-wifi-networks. Alliance for Affordable Internet (A4AI). (2017). A4AI affordability report 2017. Retrieved from: http://a4ai.org/affordability-report/report/2017/. (2015). Universal access and service funds in the broadband era: The collective investment imperative. Retrieved from: http://a4ai.org/wp-content/uploads/2015/03/A4AI-USAFs-2015_Final-v.2.pdf. Association for Progressive Communications (APC). (2012). Spectrum for development: India. Retrieved from: https://www.apc.org/sites/default/files/countries/factsheet%20india_eng.pdf. Belli, L. (2016). Community connectivity ¬– Building the Internet from scratch: Annual report of the UN IGF Dynamic Coalition on Community Connectivity. FGV Direito Rio: Rio de Janeiro, Brazil. Retrieved from: https://www.slideshare.net/FGV-Brazil/community-connectivity-building-the-internet-from-scratch. Belli, L., Echániz, N., & Iribarren, G. (2016). “Fostering connectivity and empowering people via community networks: The case of Altermundi.” In L. Belli (Ed. ), Community connectivity – Building the Internet from scratch: Annual report of the UN IGF Dynamic Coalition on Community Connectivity (pp. 125-146). FGV Direito Rio: Rio de Janeiro, Brazil. Retrieved from: https://www.slideshare.net/FGV-Brazil/community-connectivity-building-the-internet-from-scratch. Broadband Commission of the International Telecommunications Union (Broadband Commission). (2017). The state of broadband 2017: Broadband catalyzing sustainable development. International Telecommunications Union. Retrieved from: https://www.itu.int/dms_pub/itu-s/opb/pol/S-POL-BROADBAND.18-2017-PDF-E.pdf. Butler, J. et al. (Eds.). (2013). Wireless networking in the developing world (3rd ed.). Retrieved from: http://wndw.net/download/WNDW_Standard.pdf. De Rosnay, M. D. (Ed.). (2016). Network infrastructure as commons: Alternative communications networks throughout history. Net Commons. Retrieved from: http://netcommons.eu/sites/default/files/d5.1_history_v1.1.pdf. Elkin-Koren, N. (2006). “Making technology visible: Liability of Internet service providers for peer-to-peer traffic.” New York University Journal of Legislation and Public Policy, 9, 15-76. Retrieved from: https://papers.ssrn.com/sol3/papers.cfm?abstract_id=924316. Flynn, P. (2013). Building a wireless infrastructure: The critical role of backhaul. Texas Instruments. Retrieved from: http://www.ti.com/lit/wp/spry244/spry244.pdf. Franquesa, D. & Navarro, L. (2017). “Sustainability and participation in the digital commons.” Interactions, 24(3), 66-69. Retrieved from: http://interactions.acm.org/archive/view/may-june-2017/sustainability-and-participation-in-the-digital-commons. Groupe Speciale Mobile Association (GSMA). (2013). Survey of universal service funds: Key findings. Retrieved from: https://www.gsma.com/publicpolicy/wp-content/uploads/2013/04/GSMA-USF-Key-findings-final.pdf. Gupta, S. N., Abraham, S. & Gyulkhandanyan, Y. (2012). Unlicensed spectrum policy brief for the Government of India. Centre for Internet & Society. Retrieved from: https://cis-india.org/telecom/unlicensed-spectrum-brief.pdf. International Telecommunication Union (ITU). (2017a). Bridging the digital innovation divide: A toolkit for strengthening ICT centric ecosystems. ITU Telecommunication Development Bureau (BDT) Innovation Service of the Innovation and Partnership Department. Retrieved from: https://www.itu.int/en/ITU-D/Innovation/Documents/Publications/Policy_Toolkit-Innovation_D012A0000D13301PDFE.pdf. (2017b). Measuring the Information Society Report 2017: Volume 1. Retrieved from: https://www.itu.int/en/ITU-/Statistics/Documents/publications/misr2017/MISR2017_Volume1.pdf. (2016a). “Economic and financial aspects of spectrum allocation: A presentation to the ITU Regional Economic and Financial Forum of Telecommunications/ICT for Africa.” Telecom Advisory Services, LLC: Abidjan, Côte d’Ivoire. Retrieved from: http://www.itu.int/en/ITU-D/Regulatory-Market/Pages/Events2016/Abidjan/Ses2_2_Katz_Spectrum%20v3.pdf. (2013). Universal service funds and digital inclusion for all. Retrieved from: http://www.itu.int/en/ITU-D/Regulatory-Market/Documents/USF_final-en.pdf. (2012). Exploring the value and economic valuation of spectrum. Broadband Series. Retrieved from: https://www.itu.int/ITU-D/treg/broadband/ITU-BB-Reports_SpectrumValue.pdf. (2007). Module 5 – Radio spectrum management: striking a balance between market flexibility and regulation. ICT Regulation Toolkit. Retrieved from: http://www.ictregulationtoolkit.org/toolkit/5. Internet Governance Forum (IGF). (2016). Policy options for connecting & enabling the next billion(s): Phase II. Retrieved from: https://intgovforum.org/multilingual/index.php?q=filedepot_download/3416/549. Internet Society (ISOC). (2017a). A policy framework for enabling Internet access. Retrieved from: https://www.internetsociety.org/wp-content/uploads/2017/08/bp-EnablingEnvironment-20170411-en.pdf. (2017b). Policy brief: Spectrum approaches for community networks. Retrieved from: https://www.internetsociety.org/wp-content/uploads/2017/10/Spectrum-Approaches-for-Community-Networks_20171010.pdf. Jain,R.,&Raghuram,G. (2009).“Role of Universal Service Obligation Fund in rural telecom services: Lessons from the Indian experience.” W. P. No. 2009-06-03. Indian Institute of Management, Ahmedabad. Retrieved from: https://www.researchgate.net/profile/Rekha_Jain4/publication/46476896_Role_of_Universal_Service_Obligation_Fund_in_Rural_Telecom_Services_Lessons_from_the_Indian_Experience/links/00b7d51492e4150860000000/Role-of-Universal-Service-Obligation-Fund-in-Rural-Telecom-Services-Lessons-from-the-Indian-Experience.pdf. Longford, G., & Wong, M. (2007). Spectrum policy in Canada: A CWIRP background paper. Community Wireless Infrastructure Research Project. Retrieved from: www.cwirp.ca/files/CWIRP_spectrum.pdf. Manzar, O., Srivastava, R., & Kumar, R. (2015). National Optic Fibre Network status study: A review of the pilot blocks. Digital Empowerment Foundation. Retrieved from: http://defindia.org/files/2015/01/Internet-Access.pdf. McKinsey & Company. (2014). Offline and falling behind: Barriers to Internet adoption. Retrieved from: http://www.mckinsey.com/~/media/mckinsey/dotcom/client_service/high%20tech/ pdfs/offline_and_falling_behind_full_report.ashx. Milgrom, P., Levin, J., & Eilat, A. (2011). The case for unlicensed spectrum. Retrieved from: https://web.stanford.edu/~jdlevin/Papers/UnlicensedSpectrum.pdf. Navarro, L. (Ed.). (2016). Network infrastructure as commons: Report on existing community networks and their organization. Net Commons. Retrieved from: http://netcommons.eu/sites/default/files/attachment_0.pdf. Oh, S. W., Ma, Y., Peh, E., & Tao, M.-H. (2016). TV white space: The first step towards better utilization of frequency spectrum. The ComSoc Guides to Communications Technologies (IEEE Communications Society). Hoboken, NJ: John Wiley & Sons, Inc.
Organisation for Economic Co-operation and Development (OECD). (2013). Policy roundtables: Competition issues in television and broadcasting. DAF/COMP/GF(2013)13. Retrieved from: https://www.oecd.org/daf/competition/TV-and-broadcasting2013.pdf. Pietrosemoli, E., & Zennaro, M. (2013). TV white spaces: A pragmatic approach. The Abdus Salam International Centre for theoretical Physics – T/ICT4D Lab. Retrieved from: http://wireless.ictp.it/tvws/book/tvws.pdf. Rabasa, A. et al. (2009). The Lessons of Mumbai. The RAND Corporation. Retrieved from: https://www.rand.org/content/dam/rand/pubs/occasional_papers/2009/RAND_OP249.pdf. Rey-Moreno, C. (2017). Supporting the creation and scalability of affordable access solutions:Understanding community networks in Africa. Internet Society. Retrieved from: https://www.internetsociety.org/doc/cnafrica. Settles, C. (2017). Fiber & wireless: Stronger together for community broadband. Community Broadband Snapshot Report. Retrieved from: http://cjspeaks.com/wp/wp-content/uploads/2017/01/snapshot-01-17.pdf. Telecom Regulatory Authority of India (TRAI). (2016). Consultation paper on the proliferation of broadband through public Wi-Fi networks. Retrieved from http://www.trai.gov.in/sites/default/files/Consultation_Note_15_November_2016.pdf. United States President’s Council of Advisers on Science and Technology (PCAST). (2012). Report to the president: Realizing the full potential of government-held spectrum to spur economic growth. Executive Office of the President. Retrieved from: https://obamawhitehouse.archives.gov/sites/default/files/microsites/ostp/pcast_spectrum_report_final_july_20_2012.pdf. 1. Does your country have specific policies that support community networks (CNs)? a. If yes, can you describe them and provide us with links to them if they are publicly available. 2. What are the legal and business challenges related to spectrum allocation in your country? 3. Do any spectrum management mechanisms exist in your country? a. If yes, what are they and what are their challenges? i. For example, does your government publish its spectrum allocations and assignments? ii. Does your country hold open proceedings with respect to new and innovative uses of spectrum, including experimental licensing? 4. Does your country allow unlicensed use of spectrum or spectrum sharing or secondary use of spectrum? a. If yes, when were these policies put into place? 5. Does your country allocate specific spectrum for community networks? a. If yes, what are they? 6. What are the spectrum licensing processes in your country? Please define or provide us with a link to the process. 7. Are community networks allowed to set-up/operate a network in your country, or are there specific policies or regulations that are specific to community network set-up or operations? 8. Do community networks need an authorisation or a license to exist in your country? a. If yes, what entity provides those licenses or authorisations and how long does the process take on average. 9. Does your team conduct training? a. If yes, what type of training? 10. Has your team had business and management training to sustain your CN? a. If yes, was it local training? 11. Do you work with local and national authorities to make them aware of CNs and the difference they make in your local community(ies)? For more information, see: https://www.internetsociety.org/blog/2016/12/build-the-internet-training-barefoot-network-engineers/. “Community networks, which can be broadly defined as telecommunications infrastructure deployed and operated by citizens to meet their own communication needs, have been part of the foundations of Internet infrastructure since [its] early days. In recent years, the community networks movement has grown consistently, leading more and more voices to point to them as a solution for connecting the next billion, due to [the] increasing evidence of the role they do, and can, play” (Rey-Moreno, 2017). For extensive catalogues and lists of community networks, see: https://goo.gl/oahE3H and http://netcommons.eu/sites/default/files/attachment_0.pdf. The idea of a decentralized network was key in creating the Internet: a network of networks without any central node would have been more resilient to possible attacks. Yet, the Internet then evolved in a different way, as today it is infamously clear that it mainly relies on a few operators and on large nodes. For more information, see: Pp. 20-21 of Elkin-Koren, N. (2006). For a comprehensive history of community networks, see: De Rosnay (2016). For an overview of wired and wireless networking technologies, see: Settles, C. (2017). For more extensive information, read Wireless Networking in the Developing World. It is a free e-book about designing, implementing, and maintaining low-cost wireless networks. Available at: http://wndw.net/. For an extensive list of policy recommendations for connecting and enabling the next billion(s), see: IGF (2016). Gram Marg takes advantage of underutilized UHF TV band spectrum (called white space) to provide the backhaul for rural broadband access using LTE-A. For more information on TV white space, see: Pietrosemoli & Zennaro (2013). There are 200 backward districts, identified by the Planning Commission, Government of India. These are least developed areas of the country comprising mostly marginal farmers and forest dwellers. Portions of this paragraph where taken from a blog post about Baran by Osama Manzar: http://www.livemint.com/Specials/Nvjt8MPtKbZYuMt5eLv7JI/Let-NGOs-provide-rural-Net-services.html. Backhaul comprises the intermediate links between the core network or backbone network and the small sub-networks on the “edge” of the hierarchical network. For more information, see: https://www.youtube.com/watch?v=v-Jog34Ovco and https://www.sterlitetech.com/brain-share/white-papers/fiber-v-s-wireless-backhaul. For more information, see: http://defindia.org/w2e2/. For more information, see: https://www.itu.int/osg/spu/ni/spectrum/RSM-AWT.pdf. For more information, see: https://www.wi-fi.org/discover-wi-fi/unlicensed-spectrum. See: Longford & Wong (2007). Available at: http://meity.gov.in/writereaddata/files/National Telecom Policy (2012) (480 KB).pdf. Available at: www.trai.gov.in/sites/default/files/Recommendations_19122016.pdf.Also see: https://blog.mozilla.org/netpolicy/2017/01/10/mozilla-comments-on-trai-free-data-recommendations/. For more information, see: http://ictregulationtoolkit.org/action/document/download?document_id=3271. For more information, see: http://www.wpc.dot.gov.in/. Decibels relative to one milliwatt. For more information, see: http://wpc.dot.gov.in/sacfa_guid.asp</>. For an overview, see: Rabasa et al. (2009). For more information, see: https://www.w3.org/WAI/WCAG1-Conformance. Rey-Moreno (2017) also presented an extensive list of recommendations, many of which are relevant to the scope of this document. See: Abraham, Ram, Marda, & Melarkode (2016). For more information, see: https://indiastack.org/. See the License Agreement For Unified License document for more information, available at: http://dot.gov.in/sites/default/files/Unified%20Licence_0.pdf. As of 20 November 2017, 100 Indian rupees (INR) equal US$1.536. For more information, see: http://censusindia.gov.in/Data_Products/Library/Indian_perceptiv_link/Census_Terms_link/censusterms.html. See; Milgrom, Levin, & Eilat (2011). Ibid. According to Ars Technica: “Webpass buildings have radios capable of delivering up to 2 Gbps, both uptream and downstream. Anything beyond 5,000 meters will still work but you lose bandwidth…Webpass radios operate in many different frequencies, including the unlicensed 2.4 GHz and 5 GHz bands used by Wi-Fi, Barr said. Webpass also uses the 6, 11, 18, 23, 24, 60, 70, and 80 GHz bands. These include a mix of licensed and unlicensed frequencies” (https://arstechnica.com/information-technology/2015/06/500mbps-broadband-for-55-a-month-offered-by-wireless-isp). For more information, see: Gupta, Abraham, & Gyulkhandanyan (2012). Also see: Franquesa & Navarro (2017).